Painful, and often requiring a long, horrendous recovery, burns impact people in a dramatic fashion. Florida, like other states in the nation, has its share of burn victims, and sadly, some have had lethal results. An electrical fire caused serious injuries in two employees working on electrical issues in Jacksonville. 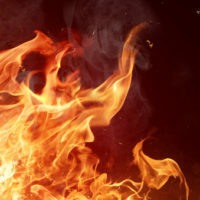 While not every burn situation necessitates legal action, in some circumstances an experienced personal injury attorney can help to recover costs associated with treatment, pain and suffering, and lost wages. Friction burns, caused by rubbing against harsh surfaces. Fourth degree: Impacting skin layers and muscles, ligaments, tendons, nerves, bones, and/or blood vessels. A severe burn becomes more dangerous when the percentage of body surface impacted grows. In adults, burns impacting one-fifth to one-fourth of the body are treatable with fluid resuscitation and additional burn management. Burns exceeding roughly one-third of the body may be fatal. Burns complicated by smoke inhalation and associated injuries become more complex to treat, as various types of trauma compound the treatment and healing processes. Negligence: when someone knew, or should have known, about factors that could lead to an accident and did nothing to remedy the situation. If you or someone you love has suffered a serious burn that might have legal implications, you want the compassion and experience of the attorneys at the office of Robert W. Elton in Daytona and Ormond Beach. Contact us today for a free, confidential consultation.